OKLAHOMA CITY — The smile on Brandon Ingram’s face told the whole story. After completing a full-contact scrimmage on Saturday, the Lakers’ rookie forward sat by the scorer’s table chatting with Lakers coach Luke Walton and head athletic trainer Marco Nunez. Moments later, both Walton and Ingram said he plans to play when the Lakers (1-1) visit the Oklahoma City Thunder (2-0) on Sunday at Chesapeake Energy Arena so long as he does not experience any setbacks in his sore right knee. 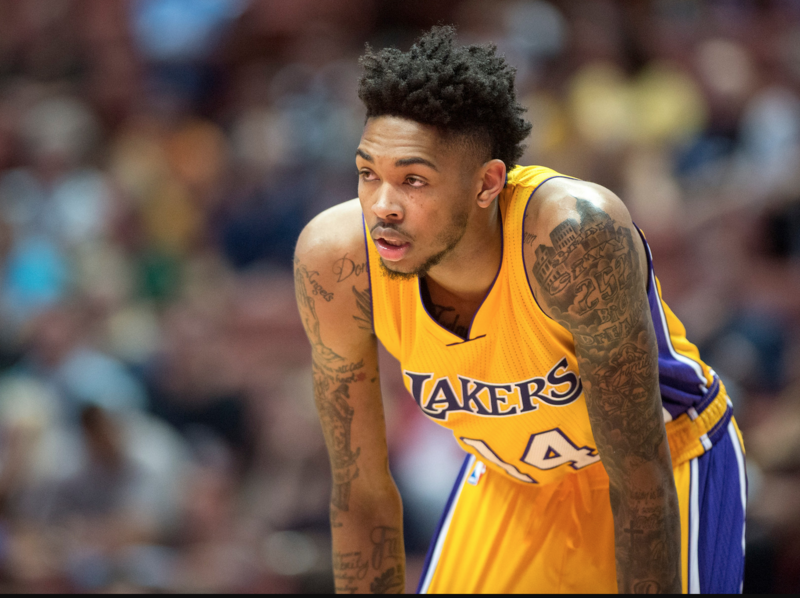 The Lakers later diagnosed Ingram with knee tendinitis after an MRI revealed no structural damage, therefore listing him as probable for Sunday’s game. Ingram did not feel good to play for most of Friday’s loss in Utah. After asking out of the game early in the first quarter, Ingram received clearance from doctors to reenter the game early in the second. Ingram only lasted a total of four minutes before the Lakers decided to sit him out in the second half. 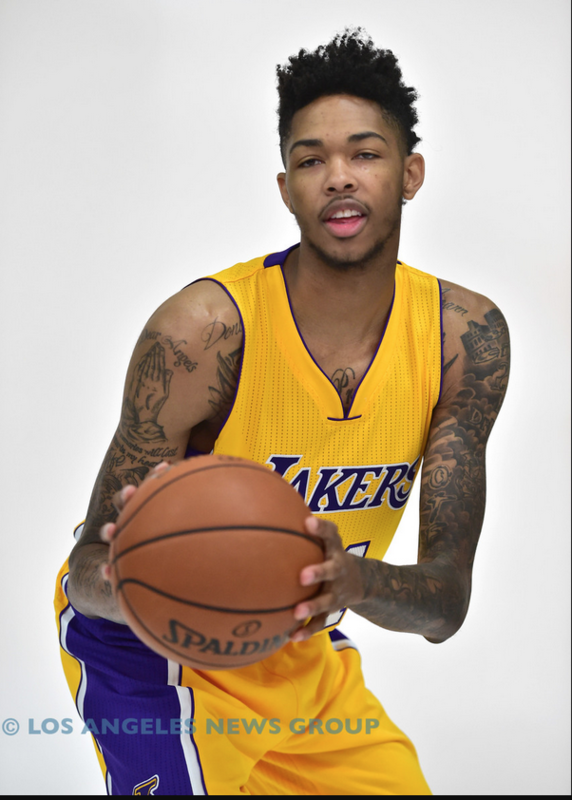 Yet, Ingram felt good to complete all of Saturday’s practice without feeling any additional soreness. He also provided a positive report on his ability to run up and down the court and make hard cuts. The Lakers no longer plan to hold out backup guard Jose Calderon, who will is expected to return for Sunday’s game against the Thunder after missing the previous two contests because of a slight strain in his left calf. Despite participating in Thursday’s practice and Friday’s morning shootaround, the Lakers wanted to keep Calderon out until he completed a full-contact practice. Walton said he will stay flexible on Calderon’s workload depending on what happens in the game, though he added he won’t play 30 minutes. SALT LAKE CITY — The ice stayed wrapped around Brandon Ingram’s right knee as he sat by his locker. He had felt enough soreness in his right knee that he sat in the second half of the Lakers’ 96-89 loss to the Utah Jazz on Friday at Vivint Smart Home Arena, initially prompting some concern on if the Lakers’ No. 2 pick would face challenges more serious than typical rookie hiccups. But then Ingram stood up and offered various tidbits that should ease the Lakers. Doctors told him he does not need to take any medical tests. Ingram plans to practice on Saturday, and he “absolutely” felt confident he could play in Sunday’s game in Oklahoma City. So as the Lakers’ journey begins, a few NBA experts chimed in about what makes them both encouraged and uncertain about the Lakers’ future. What can the Lakers accomplish this season?? 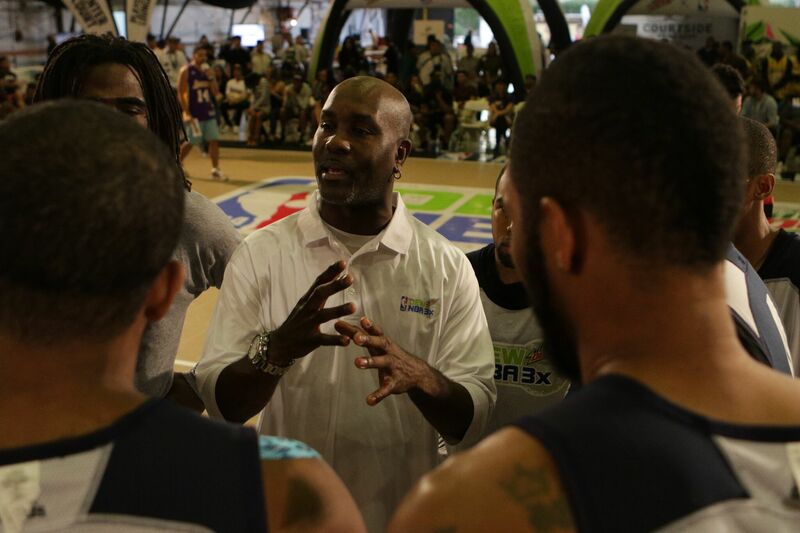 The brash confidence represented a key part of Gary Payton’s personality. It also partly explained how the Hall of Famer became a defensive specialist, landed nine NBA All-Star appearances and won one NBA championship. So it hardly sounded surprising to hear Payton’s blunt take on the Lakers heading into Wednesday’s season opener against the Houston Rockets at Staples Center. After rattling off second-year guard D’Angelo Russell, third-year forward Julius Randle and rookie forward Brandon Ingram as the team’s “core,” Payton quickly zeroed in on who should become the Lakers’ leader. The memory brought smiles to their faces at a time when the Lakers’ young core has plenty of reasons to feel happy. The Lakers open the 2016-17 season on Wednesday against the Houston Rockets at Staples Center with Kobe Bryant no longer the face of the franchise. Instead, the spotlight will shine on the team’s young players that include second-year guard D’Angelo Russell, rookie forward Brandon Ingram, third-year forward Julius Randle and third-year guard Jordan Clarkson. 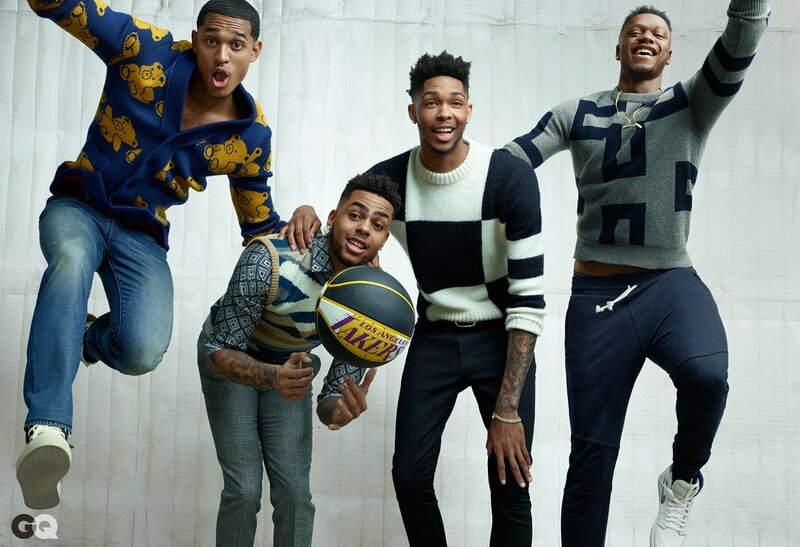 So it only seemed natural that all four players also appeared in a GQ photo shoot both to show off their new identity and display their fashion sense. An interesting story came out of that experience. 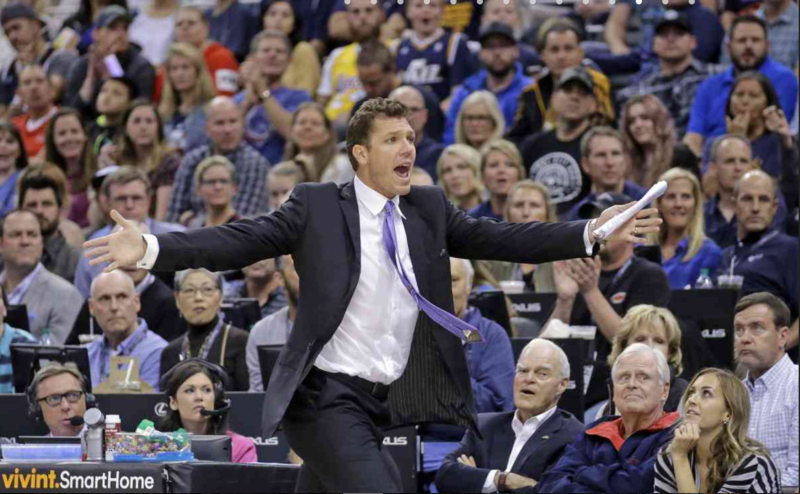 Of all the things that initially consumed himself with his first head-coaching job, Luke Walton did not think for one second about Thomas Robinson. Walton had other things to worry about, in no particular order. How can he adjust as an assistant coach to a head coach? How will he implement Golden State’s culture with the Lakers given the talent and experience disparity between the two franchises? How much can Walton elevate D’Angelo Russell, Brandon Ingram, Julius Randle, Jordan Clarkson and Larry Nance Jr? 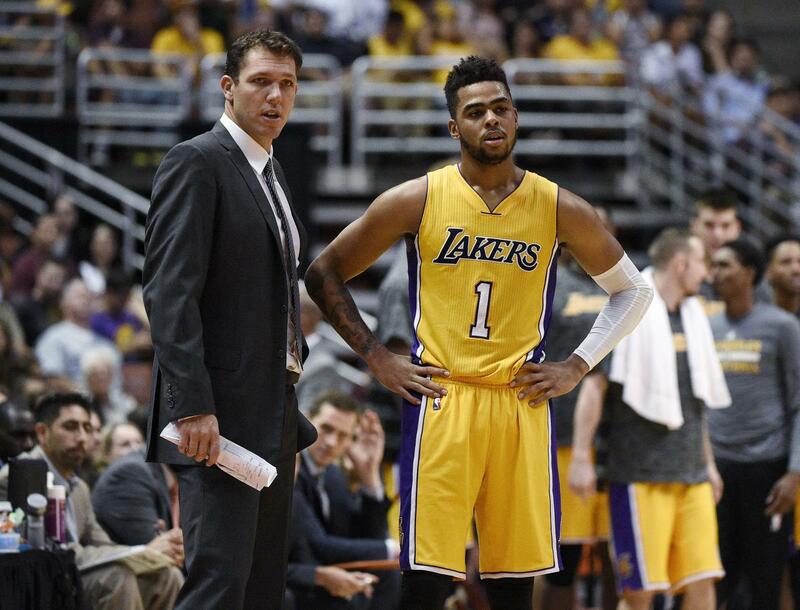 How much can Walton revamp the Lakers’ poorly-ranked defense? Once informal workouts started this past summer, though, Walton soon began thinking about Robinson. 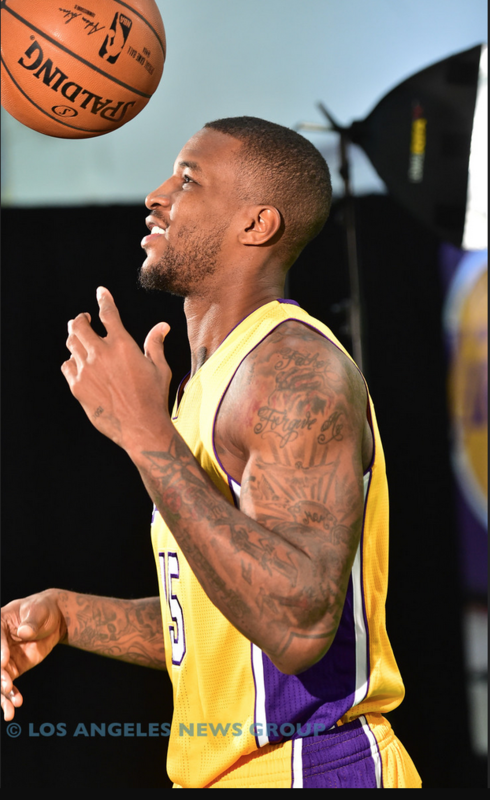 Every day at the Lakers’ practice facility, Robinson would arrive and perform two feats. He always exerted maximum effort. His teams usually won the scrimmages. So, Walton talked to the Lakers’ front office and both agreed about inviting Robinson for training camp. But with the former No. 5 overall draft pick hardly lasting long in Sacramento (2012-13), Houston (2012-13), Portland (2013-15), Philadelphia (2014-15) and Brooklyn (2015-16), Walton stayed alert for any warning signs. He never saw them. All of which left Walton “shocked” Robinson has not lasted long with any of his previous five NBA teams in the past four years. The talent seemed too good to pass up. Ron Artest locked down scorers, bulldozed defenders and made opponents fear his mere presence. But then concerns emerged about his anger, his partying and his focus. The talent seemed too diminished. Metta World Peace struggled to score, defend and run as efficiently as he once did. But then encouraging signs emerged with his unyielding work ethic, strong conditioning and valuable wisdom to teammates. World Peace became a changed man well before he legally changed his name nearly five years ago. He had already played a large part in winning his lone NBA title with the Lakers in 2010. He had already seen a sports psychologist to handle his anger that infamously contributed to his role in the Palace Brawl in 2004 that drew an 86-game suspension. He had already used his large platform to help various mental health charities. But the end of World Peace’s career has represented an interesting contrast to the beginning of Artest’s career. Teams absorbed concerns about Artest’s behavior because of his superior talent. For the second consecutive year as World Peace nears closer toward retirement, the Lakers retained him on a non-guaranteed contract by willingly absorbing his diminished play because of his superior conditioning and leadership, two qualities that could significantly shape the team’s young roster. Even as they attempt to rebuild their organization with a young core, the Lakers have trimmed their roster by parting ways with one of those young players. 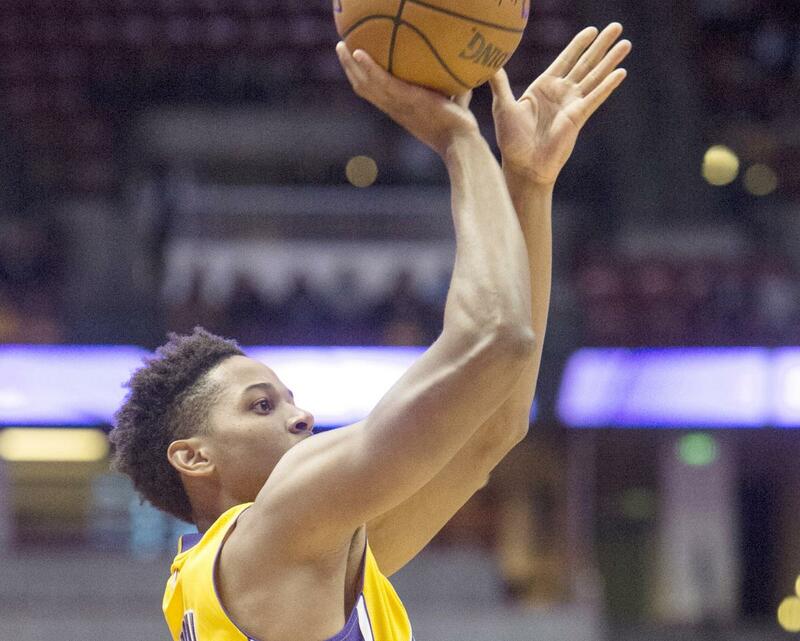 The Lakers have waived second-year forward and former Ocean View High School product Anthony Brown. That move, coincided with Yi Jianlian’s requested release, paves the way for both 16-year NBA veteran Metta World Peace and four-year NBA pro Thomas Robinson to make the team on non-guaranteed deals. The Lakers have a 15-man roster and do not plan on making any more cuts entering their season opener against the Houston Rockets on Wednesday at Staples Center. Despite averaging only 3.16 points on a 46.6 percent clip in only 8.3 minutes per contest through six preseason appearances, Brown’s departure was somewhat surprising. The Lakers were expected to narrow their choices between keeping an established veteran (World Peace) or a young forward (Robinson). But some on the Lakers had become concerned on whether Brown would ever become a dependable outside shooter after selecting him 34th overall in the 2015 NBA Draft. Brown averaged only four points on 31 percent shooting in 20.7 minutes his rookie season, and was not expected to play significant minutes behind Luol Deng, Brandon Ingram and Nick Young. That marked a far cry from when Brown shot 41.1 percent from 3-point range his last two seasons at Stanford. Brown was in the last year of a guaranteed contract worth $2 million. 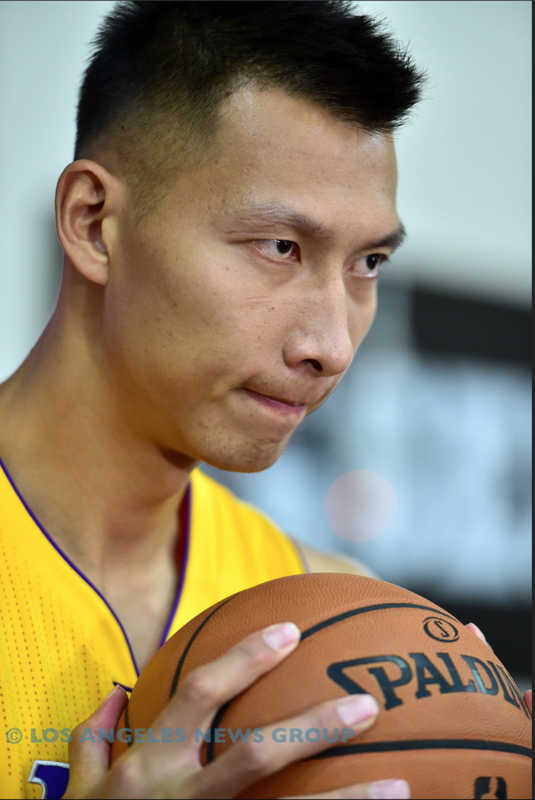 The Lakers plan to waive Chinese center Yi Jianlian on Monday, according to a league source familiar with the situation. The Lakers had signed Yi to a non-guaranteed contract at the veteran’s minimum, including incentives that could have made the deal worth as much as $8 million. But after hoping Yi could provide some outside shooting at the backup center spot, Yi averaged only 3.6 points on a 36.8 percent clip in 12.2 minutes through five exhibition games. Yi also shot only 16.7 percent from 3-point range. Yi had met with the Lakers on Sunday and asked for his release, according to a league source. The Lakers still have to trim their 16-man roster down to 15 by 2 p.m. PT on Monday. 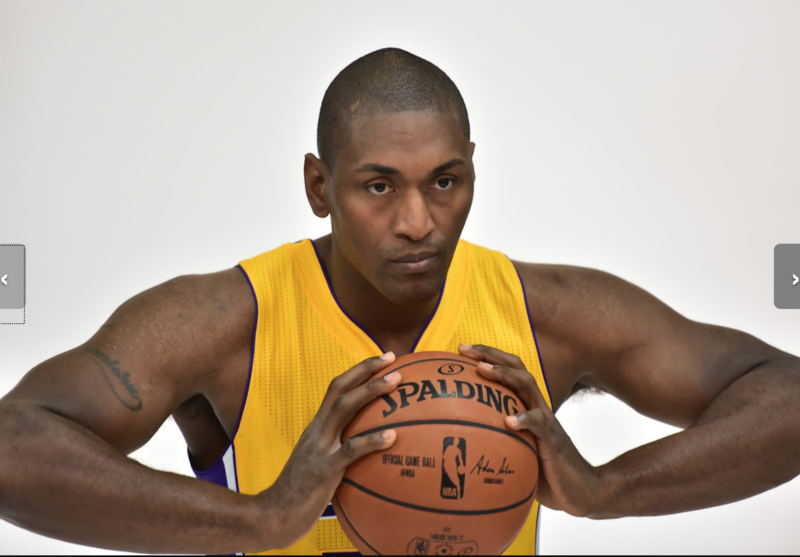 Yi’s departure likely narrows the remaining candidates between forwards Metta World Peace and Thomas Robinson.